AYALA LAND again takes pride in developing the former FTI to a new business district in Taguig City-- ARCA SOUTH. After the aggressive demand in Bonifacio Global City (BGC), expansion of a new business district is now here in ARCA SOUTH. 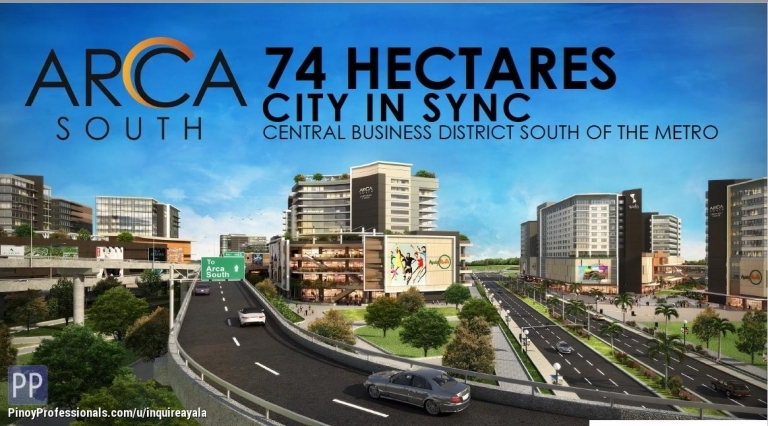 ARCA SOUTH is 74 hectare integrated mixed-use development that inlcudes prominent residential blocks right next to a bustling office and commercial area. Linked by an expanse of green space and thoroughfares, the development creates a balance between highly urban design with lush landscapes. It is a 100% Ayala City! If you liked the lifestyle in BGC, Arca South would be more exciting. Available unit: studio, 1BR, 2BR, 3BR and office units.